In the quarter-finals of the 2017 Champions League, Cristiano Ronaldo scored five times against Bayern Munich over two legs. In the semis, he scored a hat-trick against Atletico Madrid. So when Real Madrid won the final against Juventus in Cardiff, it came as little surprise that it was orchestrated by Ronaldo. He bagged a brace, deciding yet another game. Ronaldo is a man for the big occasion. At the 2018 World Cup in Russia, he has continued to show that mentality, leading to those inevitable comparisons with Lionel Messi. Atletico Madrid manager Diego Simeone accidentally contributed to the debate this week when a WhatsApp audio message to his assistant German Burgos was leaked in Spain. In terms of who you would rather have in your side when it comes to the big games — the 90 minutes where it really matters — then the majority may side with Ronaldo. A look at their Champions League records tells us how much of an influence he has. 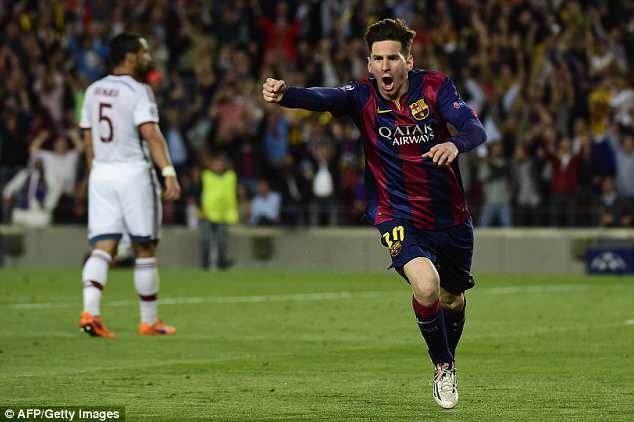 In the group stages, both have bagged 60 goals, though the Barcelona man has managed it in 15 games fewer. Yet as the competition progresses, Ronaldo takes over. In the quarter-finals, he has scored 23 goals in 20 games. Messi has scored 10 in 20. In the semis, Ronaldo has scored 13 compared to Messi’s four. In the final, it’s four to two. Once the heat is on, Ronaldo steps up, just as he has in Russia. Every football fan will have his or her own preference. But with both Ronaldo and Messi carrying the expectations of entire nations on their shoulders, one has delivered, the other has not. 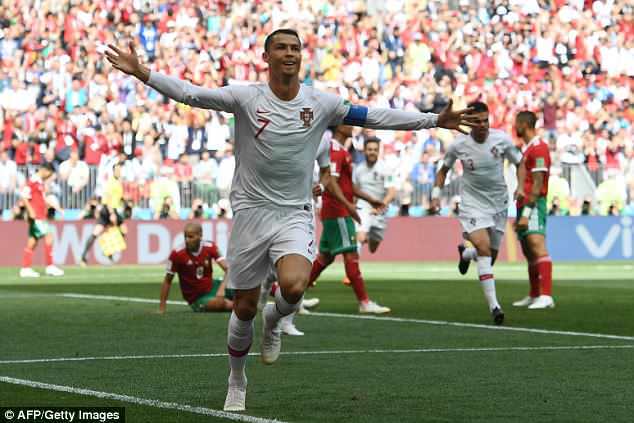 For Portugal, 33-year-old Ronaldo has decided two games – securing a draw with a hat-trick against Spain, and scoring the winner against Morocco. Iran are next on Monday. Messi, meanwhile, has cut a frustrated figure at this World Cup. Having a country turning to him for inspiration appears to have weighed him down. 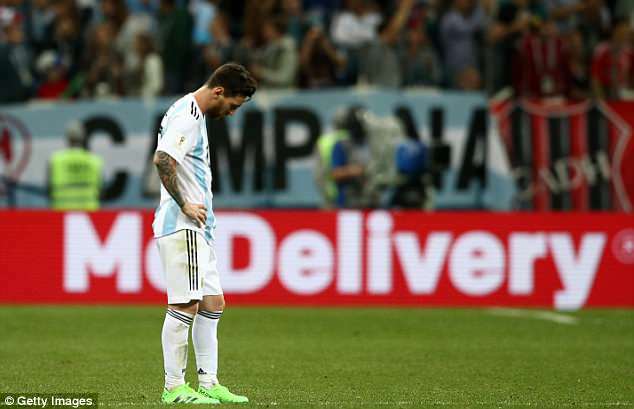 In Argentina’s 1-1 draw with Iceland, he missed a penalty to turn one point into three. In their 3-0 defeat by Croatia on Thursday, he failed to join the party again. 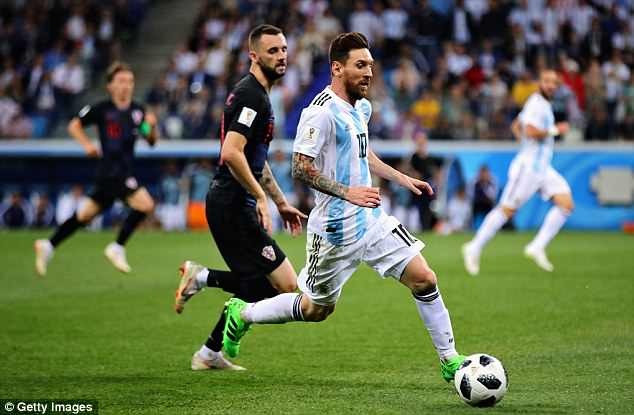 Messi was the bookmakers’ favourite to win the World Cup’s Golden Boot at the start of the tournament. So far, it is four goals for the Portuguese, and zilch for the Argentinian. As well as Simeone, a fair few others in the world of pundits have given their two cents’ worth on the debate over who is better. As it turns out, so has Ronaldo. Well, arguably. 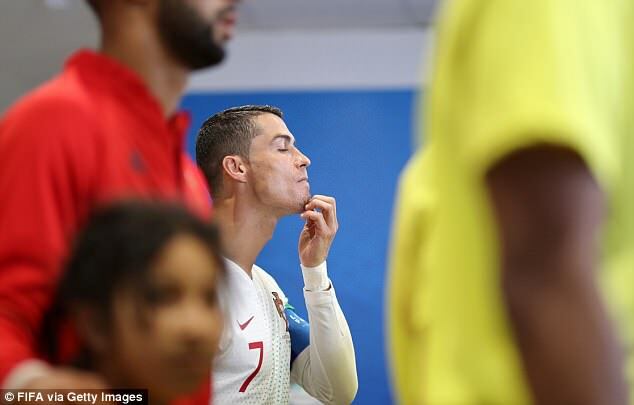 In celebrating his opener against Spain, he stroked his chin, seemingly signalling that he is the GOAT – the Greatest Of All Time. In recent days, the normally clean-shaven Ronaldo has grown a goatee, apparently another hint at his thoughts. In truth, it is open to interpretation. Plenty prefer Messi’s unique talents, which he seems to have been born with. Others like the way Ronaldo has worked so hard to get so good. Roy Keane, arguably biased, offered his opinion this week when he said: ‘I think there has been a great debate about him and Messi but over the last six months I think he’s on a new level. The Ronaldo vs Messi debate will rumble on until one or both retires, and no-one is wrong. It can come down to a matter of personal preference. Yet as Simeone said, if you surrounded both with 10 players of typical professional quality, who would you back to do the better job? Messi has had his moments but judging by what we’ve seen recently, that man is now Ronaldo.